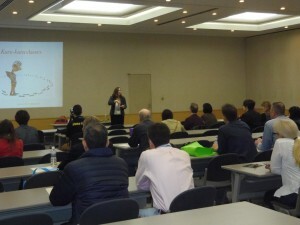 Last week I attended the JALT National 2014 conference in Tsukuba. 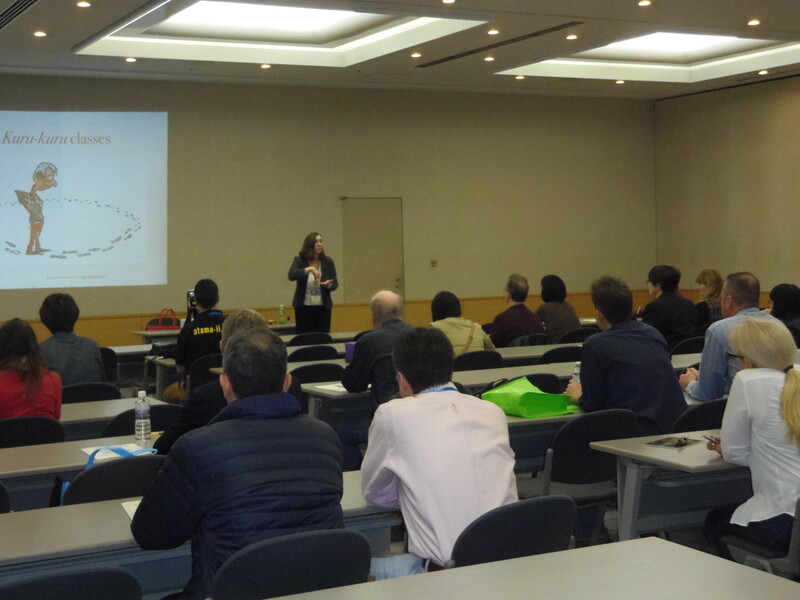 It was my 10th JALT conference in a row, but this one was extra special because I was a Featured Speaker, sponsored by Atama-ii Books. I arrived on Friday afternoon and helped Marcos Benevides set up the booth, which was an ordeal because our display included a two meter high copy of a cover of Zombies in Tokyo with the heads cut out so people could stick their heads in and become zombies. After setting it up, we decided to try it out ourselves and post the result on Facebook. But something inside me keeps saying, "Not yet, not yet, not yet!" The next day Bill Harley gave his plenary speech. I thought it was interesting that most of the people who posted how much they enjoyed it on Facebook were university professors, not teachers of children! After the Opening Ceremony, I gave two presentations. One was on activities using graded readers and the other was why multi path readers are ideal for reluctant readers. 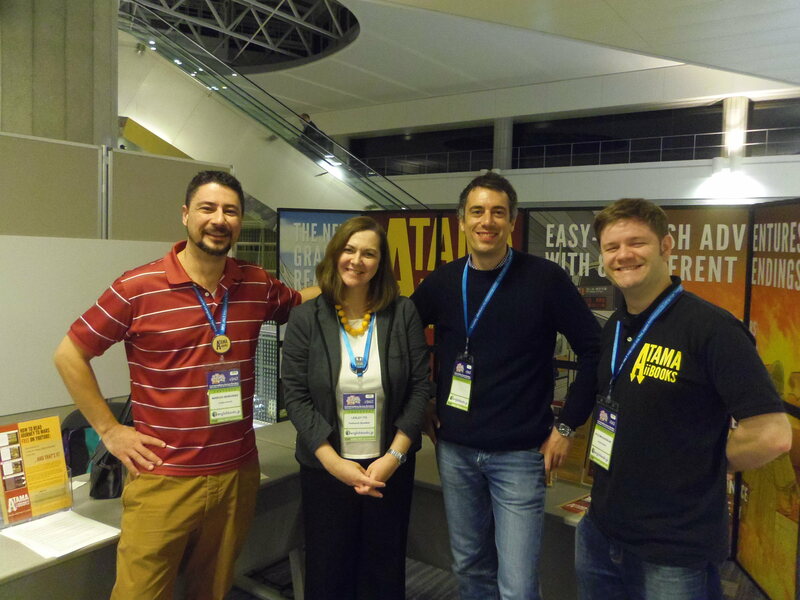 Thanks to everyone who attended my presentations! I also spoke at a forum for the new Mind, Brain, and Education SIG on how learning about neuroscience has helped me to become a better teacher. 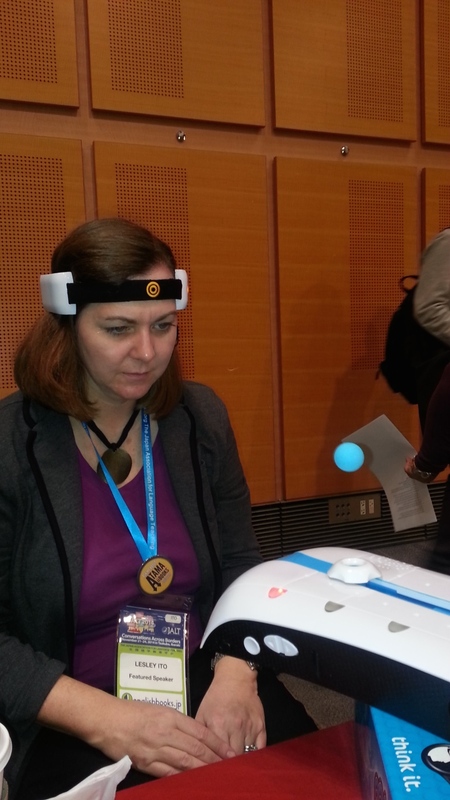 There were lots of interesting gadgets for the brain at their booth, including this fun game where you control a ball with your brain waves. 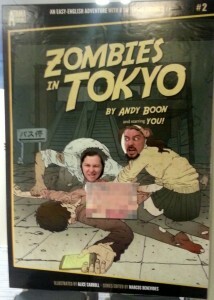 The rest of the time I was in the Atama-ii Books booth, taking cell phone photos of teachers who wanted to become "zombiefied" and talking about the books. It was great to hear everyone's reactions to them. As a child, I was a huge fan of the Choose Your Own Adventure series, so being able to write a multi path story is a dream come true. 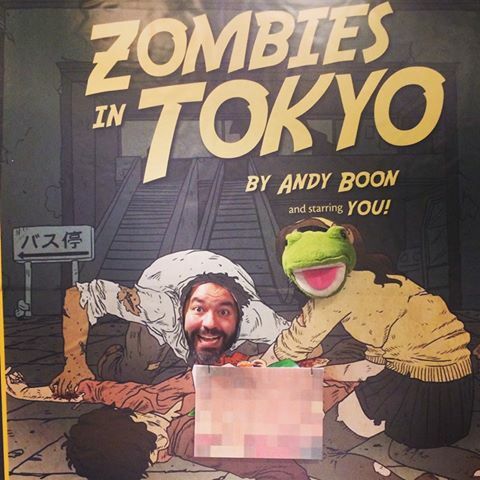 So, who was the best zombie in Tokyo? I'd have to say my favorite photo was of teacher and puppeteer, Juan Alberto Lopez Uribe, and his sidekick, Buddy the Frog! Juan and Buddy the Frog as zombies! A 157 page paperback novel is not enough. . .